We all love meat in this house, especially the hubby and the kids. 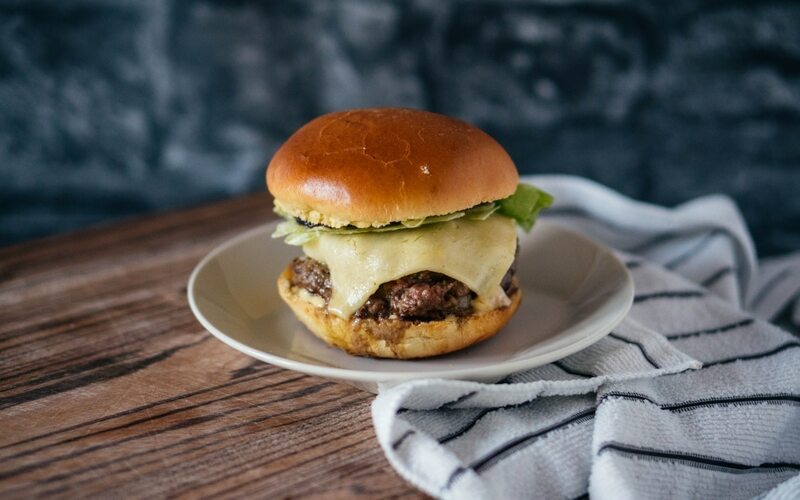 Most of all we all love a good burger, and don’t be scared off by the idea that these are homemade. 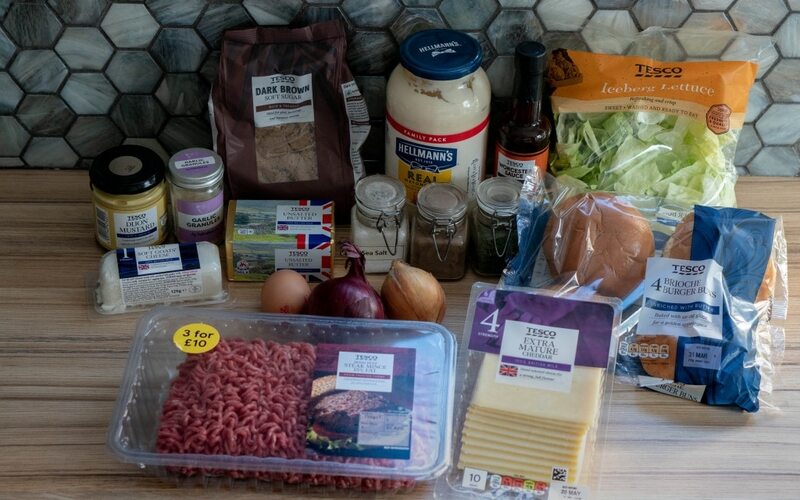 Homemade burgers are so easy to make and once you’ve made your own you won’t go back to shop ready-made ones again. So considering how much I love goats cheese we decided on this amazing stuffed goats cheese burger. This stuffed goats cheese burger is just that little bit more special than your everyday burger. 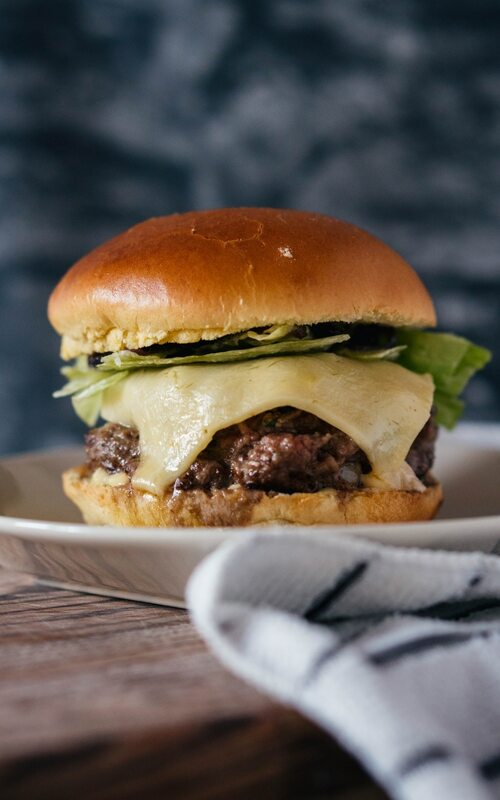 Goats cheese can be a little sharp on its own so we added a spoonful of caramelised red onions which give a kick of sweetness to the burger, and a homemade mustard mayo sandwiched between a tasty brioche bun and you’re in burger heaven! They taste absolutely amazing, and even the kids loved them! Plus, they only take 30 minutes to prepare and make. Thank you very much, it was VERY tasty! I love a good burger! I always find them so much flavourful when they’re homemade! So often cheddar is a go-to cheese for burgers but I love the combo of goat’s cheese and carmelised onions. It’s such a nice taste together isn’t it, these were very yummy! Oh my god this is my perfect dish! I am all abbot the burger and goats cheese is my favourite! I am going to make this tomororw! 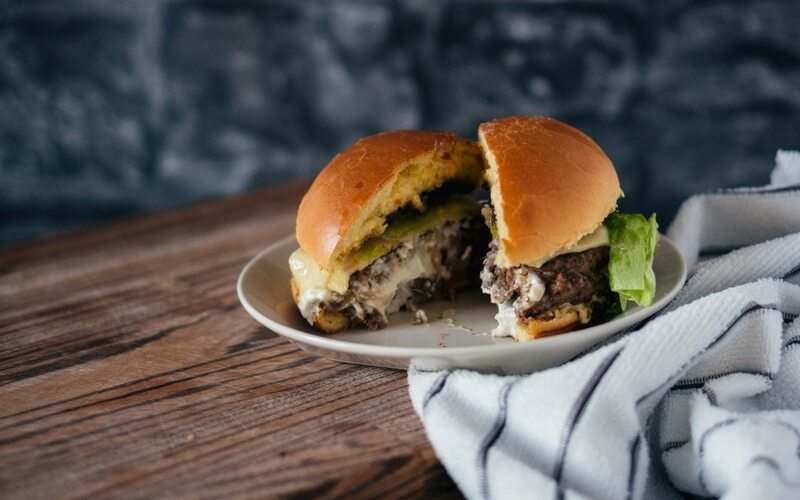 Oh we love a good burger and these look amazing! I love a good burger and that one looks absolutely delicious! I could definitely eat that right now. Add it to this weeks menu!